Some of the earliest reading skills that children learn are print awareness, sounds of speech, phonemic awareness, phonics, and fluency. Once students get older, they gain greater skills in spelling, comprehension, and writing. While these skills are primarily taught in preschools and kindergartens, you can easily find extra support for your early readers. There are many ways that you can supplement your child’s reading. Not only are afterschool enrichment programs a great idea, there are also many online reading games for preschool and kindergarten. Many of these games are free and accessible on various platforms, making it easy to take educational games on the road. 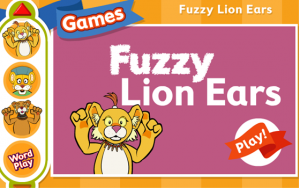 Starfall is another great provider of online reading games. The games featured on its website are categorized by reading level and skill. The skills taught in these games include letter recognition and primary reading. The free online reading games on ABCYa.com are split into different age or skill levels. After choosing preschool or kindergarten, you can choose to practice on letters or other skills. 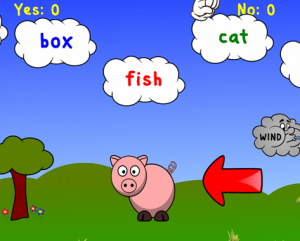 The skills featured in these games are word completion, letter recognition, and letter tracing. Room Recess and BrainPop Jr. are more great resources for free online reading games. The games are usually for elementary students, but there are some real gems. These games teach beginning sounds, sight word recognition, vowel recognition, and primary reading skills. PBS Kids and Starfall feature most, if not all, of their games on their apps, PBS Kids Games and Starfall. You can download these apps free from their websites. Similarly, ABCYa also offers its games in a mobile format which can be downloaded on the iTunes store for iPads. Some of these apps have in-app purchasing, so be sure to turn this option off before turning your iPad over to your preschooler or kindergarten for reading fun. Are there any free online games for reading your child enjoys?